It's not just the care cats receive while they are with us that makes coming to Cats Protection the best choice. 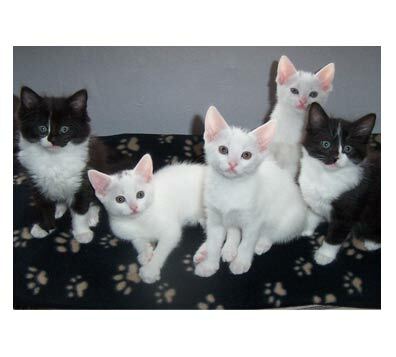 We also provide support and guidance on how to best settle your new feline friend. Our Adoption fee is £60. All of the above is included in our all inclusive adoption package, as well as four weeks free PetPlan insurance. We also offer a 'safety net' guarantee, meaning we will take the cat back into our care during the first 6 months post adoption as soon as a fosterer is available. On average it costs £150 per cat in our care plus the cost of vet health checks, day to day expenses such as food and litter and any transport costs. We happily accept any donation on top of our fee. All donations go directly to help cats and kittens in need. Please visit our 'Adopt with Confidence' page to find out more. Our branch will also actively assist anyone needing to rehome their cat via our 'Direct Homing' service whereby we will act as a go-between for people needing to find a new home for their cat. Find out more here.